Luxury Maison teams up with Italian high value tyre making pioneer to introduce a new line of luggage built for today’s discerning and demanding globetrotters. 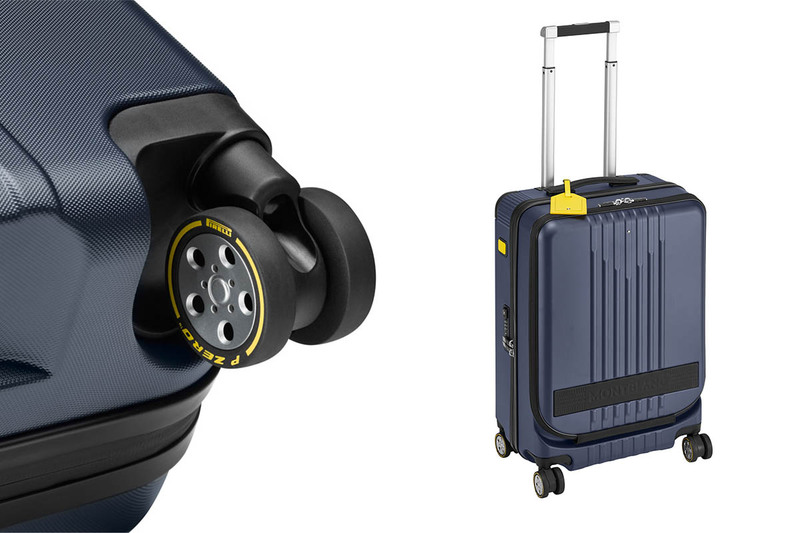 With a shared passion for innovation, performance and design, Montblanc and Pirelli have come together to launch a new limited edition trolley collection. Inspired by the spirit of travel exploration, the Montblanc x Pirelli collaboration leans into the tradition of mobility and speed upheld by Pirelli since 1872. The lightweight trolleys with high-performance ball- bearing wheels and precision handle bar are designed for intrepid business and leisure travellers who expect efficiency, reliability and comfort from their luggage. The sleek aesthetics of the trolleys are enhanced with elegant details inspired by iconic design cues including the unmistakable Pirelli tyre tread pattern. Both Companies have a heritage in mobility and driving innovation that makes today’s demanding travel more seamless and their steady global expansion has cemented their place as leaders in their respective fields. Montblanc has been the purveyor of fine luxury companions that have been enhancing the travel experience for over 110 years, from pioneering the non-leaking fountain pen to manufacturing finely crafted leather companions. As the purveyor of high value consumer tyres, Pirelli has been supporting motorsports for over 110 years with cutting edge technology and high-end production excellence.